You know when you're working on a mix that has a lot of tracks and you start to notice that the lower midrange and Bass are blurry and indistinct? That the mix feels cluttered, muddy... even claustrophobic? You're suffering from an obvious malady: the mix is TOO DENSE. Dynamic microphones are rugged, moderately priced workhorse mics that are great for live and studio applications. They are good for recording loud instruments like guitar amps, drums and vocals because they have a tight, punchy, compressed character that emphasizes the midrange. Small Diaphragm Condensers are equally as rugged as Dynamic Microphones but generally get treated a lot better because they are more expensive. 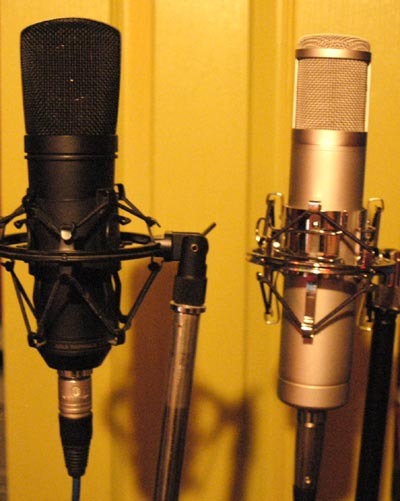 Certain types make great vocal microphones and others shine in matched pairs over a drum kit. They also make great room mics. Large Diaphragm Condensers are great for detailed vocal performances, acoustic guitar, acoustic piano, string sections and picking up subtle room acoustics. They tend to be a bit more delicate and lots more expensive than Dynamic Microphones. Both types of condensers tend to have an open airy character that represents the entire frequency spectrum more evenly than Dynamic Microphones. Cardioid Microphones have a heart-shaped directional pickup pattern. Dynamic microphones are almost always cardioid– that is, they only pick up sound from the front of the mic. That’s one reason they are so popular in live sound applications – they don’t feed back as easily as an omni directionals and they are good at isolating the instruments. Condenser microphones often have a switch on the side that allows you to choose between the three different pickup patterns. Any cardioid microphone will pick up more bass frequencies if it is placed closer to the sound source. This is called the proximity effect. The proximity effect is a mixed blessing. Say you have a wimpy-sounding singer... whiny and ineffectual, tinny, annoying... you can use the proximity effect of a Cardioid microphone to make him sound a bit more beefy and important. Put the mic closer to his mouth and watch the magic happen! 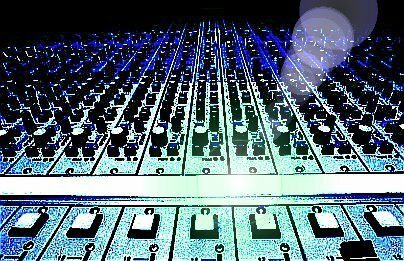 If you are so delighted that you use the proximity effect on everything, close mikng the drums, the guitar, the bass, the keyboards... you'll find that your mix is crowded with lower midrange and bass! It sounds like sludge! Crappy sludge! If you close mic too many elements and try to mix them together, it will sound like crappy sludge. And the more tracks you add, the worse it gets. You can use the proximity effect to your advantage. It just takes a bit of planning. Drums usually stand to benefit the most from close-miking. Position the mics to get the best sound possible. Don't worry about compression, eq and gating yet... that can wait until you're mixing. A well-tuned and well-miked drum kit is the best place to start. Guitar Amps - you'll need to think about how many tracks you are plan to stack and how the tracks are going to fit together. When you play multiple guitar tracks to thicken up a sound, often one track emphasizes a "beefy low end" while a second track has more of a midrange punch... and a third might be added for clarity and differentiation in the mix. In this instance, position the mic on the first track to utilize the proximity effect to its full potential. On the other two tracks you'll need to move the microphone toward the center of the speaker. This will reduce the low end coming from the edge of the speaker, especially if you angle the mic toward the center. You can also move the mic farther away from the amp if you have a suitable room and suitable isolation to do so. Or you can go direct. What he meant is that by miking a guitar amp or drums at a distance, the resulting sound is BIGGER. The only problem with doing this is that sometimes the room that you are recording in sounds like crap* or you need to close-mic the instruments to avoid bleed from other amps. Many mics also have a bass roll-off switch. People often get confused about when to use it. The proximity effect can be lessened with a bass roll-off switch if you close-mic something with a dynamic or a condenser microphone set to a cardioid pickup pattern. The roll-off cuts the bass frequencies at the mic. Vocals – because people tend to record vocals with condenser microphones in a (hopefully) dry isolated environment, proximity effect is not as much of a concern. Most condenser microphones have a bass roll off switch that you can use if you decide that the low end of the vocal tracks is a little too beefy, but in general (because you want the vocals to be at the forefront of the mix) it’s better to leave the full frequency spectrum intact and then cut key areas of E.Q. on some of your supporting instruments if you find that they interfere with the vocals. If You Are Mixing and your sounds are getting muddy in the lower frequencies, cut them out with a parametric equalizer centered at around 200 Hz with a medium wide Q. You can also use a shelving equalizer to cut out all the frequencies below about 80 or 100 Hz. This will keep the important midrange and upper midrange frequencies intact, but free up the bass and lower midrange frequencies for the kick drum, the bass guitar, and the lower frequencies of the vocals that make the singer sound so much like Eddie Vedder. Close miking with directional (cardioid) microphones makes the low end more pronounced due to the proximity effect. Utilize the proximity effect only when tracks need to sound beefier. Minimize the proximity effect on other tracks by positioning and aiming the microphones in such a way that they does not pick up as much of the bass signal. Use the bass roll-off on the microphone if it has one. Use a low end shelving EQ to cut all the frequencies below 100 Hz on your supporting instruments. These types of frequency cuts will not be noticeable in your final mixdown because the kick drum, bass and vocals will have low frequencies that will fill up these areas. The end result is a mix that is clear and uncluttered, yet rich and deep. There are a couple of different kinds people in the world that operate in a condition of extremes. The first type is the kind of person who turns the stereo up really loud, drives really aggressively and has really definite opinions about EVERYTHING. I’m one of those people. The other kind of person is the exact opposite. They do everything safely. They live out their lives with precise control: They drive the speed limit, they never eat unhealthy things, they listen to music in their cars at reasonable volumes even when the police cars are not sitting next to them at red lights and they go to “tasteful” movies that win Academy Awards. These kinds of people bore me to tears and drive me nuts. 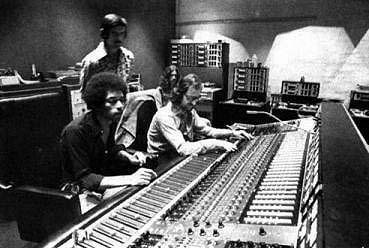 I mention this because you will run into a large number of recording engineers that fit into the second category. I’ve always felt that you have to revel in bad taste before you can really appreciate good taste. Making cool, new innovative music is rarely about good taste. Well, today we’re going to talk a bit about Compression. Compression is a wonderful effect that, along with equalization, can totally take your recordings to the next level - but if you use too much of it, it will kill all of the dynamic range of your music and make it fall flat. In order to understand how compression affects a signal, you have to try using it in an extreme way so that you know what BAD compression sounds like. Then you back it off and use it subtly to make the individual tracks or the overall mix really dramatic. Both compression and E.Q. can be used to manipulate the realism of an instrument. You will hear me expand on this topic in the future, but I think that multi track recordings should not just be realistic reflections of the combined instruments that are used to produce them. Recordings should sound bigger than life. They should be the audio equivalent of a Technicolor movie where the colors on the screen are much more vivid that they are in real life. When we are talking about compression in the context of recording, there are two types: Dynamic Range Compression and Data Compression. Data Compression takes an audio file and discards parts of it that scientists have deemed inaudible due to a phenomenon called Frequency Masking. Frequency Masking assumes that certain frequencies are inaudible because they are “masked” by other louder frequencies. This type of compression is also called “Lossy” compression. Regardless of what anyone tells you, lossy compression formats like MP3’s and M4A’s do not sound as good as music files that have not been compressed. This is mainly because there are lots of intangible aspects to human hearing that add realism to a sound that can’t be measured in hearing tests or in frequency profiles on an oscilloscope…but I digress…! The type of compression we are talking about is Dynamic Range Compression. Dynamic Range Compression makes soft parts of music louder and loud parts of music softer – and therefore easier to work with and mix together. It makes music more listenable on low-grade consumer music systems like cheap radios, boom boxes and even the limited range speakers on low price point televisions. Additionally, depending on the controls that are available on the particular device or plug-in that you are using, compression can be used to sculpt the shape of the sound and it can be applied to individual tracks or entire stereo or surround mixes. Compression is getting a bad rap. There is a huge trend right now to totally squish the dynamic range of CD’s and make them as loud as possible. In doing this, much of the subtlety of the individual instruments and the interplay between them is lost - and mixes can sometimes blur into an incohesive mess. 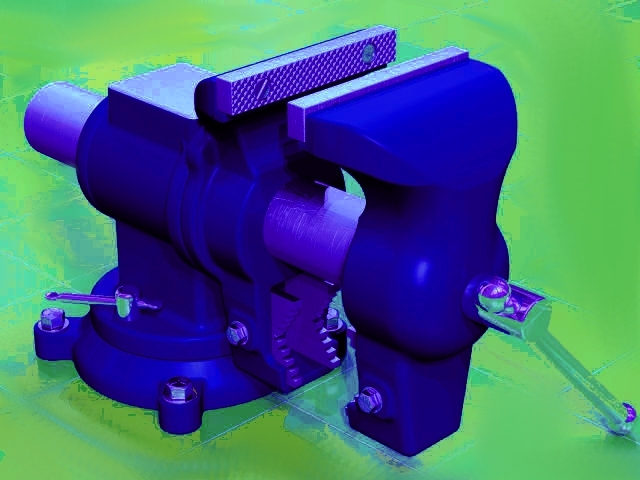 Because of this trend, you will see tons of articles that expound on the EVILS of compression. The truth is that compression is a really useful tool and it’s only bad if you’re a big idiot and either use it improperly, or use it too much. Compression is really hard to write about and explain to people. On of the reasons that compression is so hard to discuss and so confusing is that it is TOTALLY IMPOSSIBLE to come up with any hard and fast rules on how to use it. This is because of all of the variables that exist with the instruments that you are recording, the microphones and the preamps that you are using and whether you are using tape to record the information or whether you are using a computer. Additionally the compressor itself - whether it’s a stand-alone piece of hardware or a software plug-in - will make an enormous difference in the outcome of the sound. As a result, trying to describe when to use compression, how much of it to use, or how to set the controls is a highly inexact proposition. Compressors have multiple parameters that can be adjusted. Some devices have all of the adjustments listed below; some of them have just a few. In describing these parameters I’m purposely being non clinical – so my descriptions might not be as scientifically accurate as…say an electrical engineer’s description might be, but hopefully your eyes will not glaze over as you are reading the descriptions and the ideas will actually sink in! Threshold – Compression can either be very subtle or very severe. The threshold kind of “draws a line in the sand” and controls how loud the signal has to be before the effect kicks in and begins to reduce the volume of the signal. If a signal’s volume crosses that line, it gets squashed down. A low threshold means that the signal does not have to get very loud before the compressor kicks in. A high threshold means that the signal has to have quite a bit of gain behind it before the effect is enabled. As a result, a low threshold means the compression is fairly severe. A high threshold means it is subtler. Makeup Gain – Once the signal has been compressed, the resulting signal is lower than the original signal that went into the compressor. The makeup gain allows you to adjust the outgoing signal so that it’s loud enough to be usable. Ratio – Controls how strongly the effect acts upon the signal. A ratio of 8:1 means that for every eight decibels of gain fed in to the compressor, the output would only increase by one decibel. A ratio of 20:1 is much more severe. For every 20dB fed into the compressor the output is only increased by one dB. Attack – Controls how fast the compressor reacts once the threshold has been reached. A slow attack allows quick transient spikes in a signal to pass through the circuit before the compressor has a chance to affect them. This is a GOOD thing for drums because you want the drums to retain the power of the initial Thwack on the drumhead or the cymbal. If the attack was quicker the drums might lose some of their power. There are other instances where you want the compressor to react really quickly to any sudden transient signals and we’ll talk about that when we discuss Limiting a bit later. Release – Is the amount of time it takes for the signal to recover from the effect. A slow release might allow a drum to sound bigger, because the compressor draws out the decay envelope and elongates it after the drum has been hit. A quick decay might make the presence of the effect less obvious. Anytime the ratio of compression goes beyond 10:1 it is usually thought of as Limiting. Limiting is really just a severe form of compression that keeps the level from exceeding a certain point. It’s like putting a trampoline in a room with a ceiling. You can bounce on it but you can only jump so high before the ceiling stops you. I tend to think of compression as an effect that works in varying degrees of subtlety. Some forms of compression are barely noticeable and some are extremely obvious. In my mind, even when compression is “transparent,” it is still intended to obviously modify the sound of the signal even if it only does it a little bit. The attack and release parameters in particular allow you to shape your volume envelope in all sorts of interesting ways to make the sound BIGGER. Limiting on the other hand has a vastly different purpose. 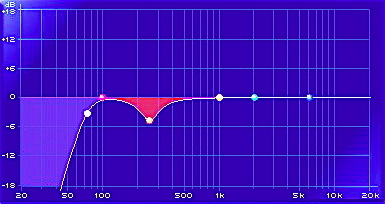 Limiting is in place to keep a signal from going beyond a certain level and causing distortion in an audio chain while allowing it to retain a high degree of power. Limiting makes our perception of a signal LOUDER. So…I don’t mind hearing the results and the artifacts that sometimes accompany compression, but limiting should act upon a signal pretty invisibly. How do you avoid overusing compression and making other mistakes when you use it? Remember what I said about using recording as a means to make instruments sound “larger than life.” If you compress a track and it sounds smaller, you’re probably not doing something right. Although it’s a good idea to solo the track that you are inserting the effect into so that you can see what the basic sound is like - the ultimate test is to see how the track sounds in the context of the mix. So – Solo to get an idea of the sound and then look at the overall mix for the big picture of how the effect on the track works in the context of the mix. Tracks that work great in a mix often sound kind of weird by themselves. One of the main mistakes that people make with compression is that they use it all at once rather than staging it throughout the process of recording and mixing. The process of using incremental compression can be thought of as a type of GAIN STAGING. So you use a bit when you record, a bit more on the individual track, perhaps a bit more on a submix on a group of instruments like drums and perhaps a bit more over the final mix if it is REALLY needed. I generally always use a hardware compressor and preamp combination when I am RECORDING a track. So, before the sound even hits the converter, A LITTLE compression has been applied. By a little, I mean, a ratio lf about 2:1 or at the most 3:1 with a pretty high threshold, a slow attack and a medium release. With this type of compression there is NO UNDO - So it has to be subtle. You should not really be able to tell it’s there unless you really listen. If you are working with instruments that have transient level spikes – like drums, DON’T TRUST YOUR METERS to let you know when the signal is overloading. Meters don’t work fast enough to tell you when there is a spike that can cause distortion and ruin a good track. It’s better to record at a lower level…say about 70 per cent of maximum for the peaks and then stage the gain up later in the mixing process. Here are some Basic Parameter Settings for Compressors. But remember, in the reality of recording there are NO RULES and everything depends on the type of instrument that is being recorded, the kind of music that is being recorded, the signal chain and the overall sound that you want to achieve. If you are using Compression and Equalization together, insert the compressor in to the signal chain first followed by the equalizer. Copy the track that you want to compress onto a new track and then mix the two tracks side by side. The original track should have no compression and the copied track should be squished like a bug, ie – Low threshold, high ratio, long attack, medium decay and makeup gain to bring the signal back to the original volume. Mix the two tracks together. The combination of the two might solve your problem. If it does not, you can copy the track a third time, only this time, apply two different kinds of E.Q. to the copied tracks AFTER the compressor. On the first copied track insert a high pass filter and take out most of the bass spectrum and compress the remaining signal to taste. On the second copied track insert a Low Pass filter and remove most of the high-end spectrum and compress the resulting signal to taste. Then, combine all three tracks to get your sound. This entire process is called Parallel Compression and it works great for drums. If inserting the E.Q. AFTER the compressor does not have the effect you want, try inserting it BEFORE the compressor and doing the same thing. After you have Limited the signal then you can compress the sound to modify it’s attack and decay envelope and make it BIGGER sounding. So…that’s all for this installment on compression. Send me some questions if you have any. Compression and E.Q. will be a black art that you will be striving to improve for the rest of your life. Get good at them both. Its part of a blog called dillfrog.com and although I have no idea who the author is, I am forever in their debt for coming up with such a cool little site. There are lots of other killer things on it as well: It has a guitar chord dictionary and an album tracker - to name a few. 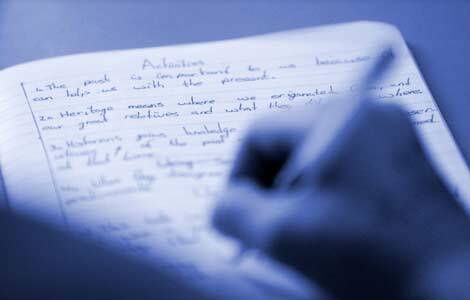 If you are a songwriter or a lyricist, chances are that at one time or another, you have run into issues with rhymes. Rhyming is an integral part of songwriting, but the problem is that many rhymes are really obvious and overused – so if you employ the most popular type of rhyme – which is called “Perfect Rhyme, “ your songs might have a trite “been there done that” feel to your listeners. I tend to view lyrics as poems that are constrained by the musical elements surrounding them. In certain types of poetry, you might have a bit of free reign over the syllabic structure of your lines. BUT - when you have to fit poetry into the confines of a musical element - the words of the song - and more importantly the syllables of the words - have to weave AROUND the musical phrases to create a separate melody that floats over the top of the instrumental lines. This is hard. To make it harder, much of the time the instrumental elements of the song are often written first and the separate melody also needs to contain words that sound good together and make sense…at least a little. It becomes even harder to say something in new and innovative ways, while still remaining soulful and true to the song. 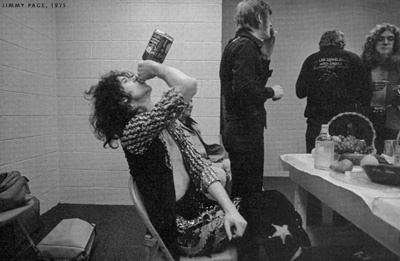 Even if you are writing Hard Rock and Metal, you have to have soul and you can’t seem fake in your sentiments or your songs will fall flat. What is Slant Rhyme and why will it help my songwriting? Slant rhymes are rhymes that are close, but not perfect. There is usually a similar vowel sound at the end of the two words that makes them go together well or there is a similarity of some type in the way the words end. So, the rhyming words are O.K, but they seem a bit forced. See how the words fit together, but they aren’t annoyingly similar? Slant Rhyme is important because people don't like trite poetry that expresses emotions and situations in the same old tired terms. The only thing worse is when you can sense that the author has the beginnings of a good idea, but then they screw it up just for the sake of making something rhyme in the “Perfect Rhyme” scheme. Check out this little web site when you are writing your next set of lyrics and see if it helps you.